NAKATOMI x BLUE GENIE art Bazaar- open NOW! NAKATOMI is here for your Holiday Shopping NEEDS! For the SEVENTH! (!!!) 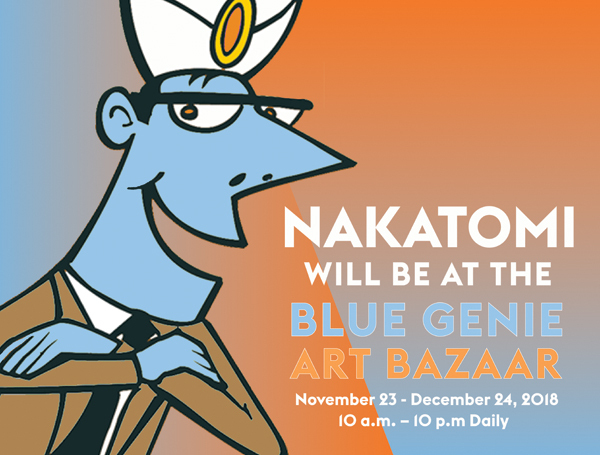 year in a row, Nakatomi has a booth at the annual Blue Genie Art Bazaar! The Blue Genie Art Bazaar is located at 6100 Airport Blvd, just North of downtown. 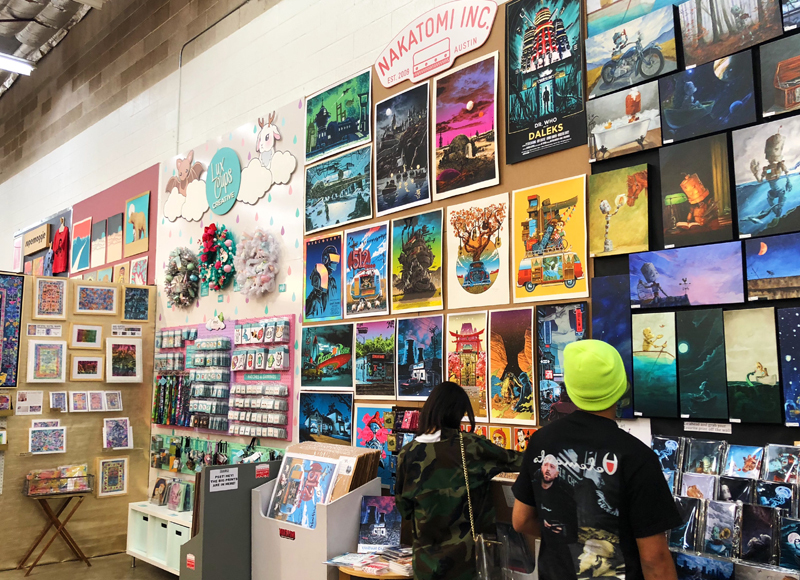 You’ll be able to pick up Nakatomi prints right off the rack while taking in 100’s of other artists’ hand-made work, all from the Austin area! And not only prints by Doyle- you’ll be able to pick up prints and crafts from a half-dozen Nakatomi associates and employees past and present- we’re taking the Austin craft scene over, one booth at a time! The Blue Genie Art Bazaar is open from 10-10, every day now until Christmas Eve! ← METALLICA- 11/28 Boise print by Bernie Wrightson!